Lionel- Growing up in Northeast North Carolina my first memory of BBQ was a standard pig picking. Nothing like a group of family and friends gathered around a large grill pickin’ your favorite piece of pork from this butterflied pig in front of you. Add the sides of coleslaw, barbecue potatoes, and hush puppies and your day was set! Anytime from that point on when I heard we were having or going to a pig pickin’ I was excited. Andy- Does your state have separate sub regions of BBQ, if so how do they vary? Lionel- North Carolina is a unique state for BBQ. It is pretty much divided into two sections. 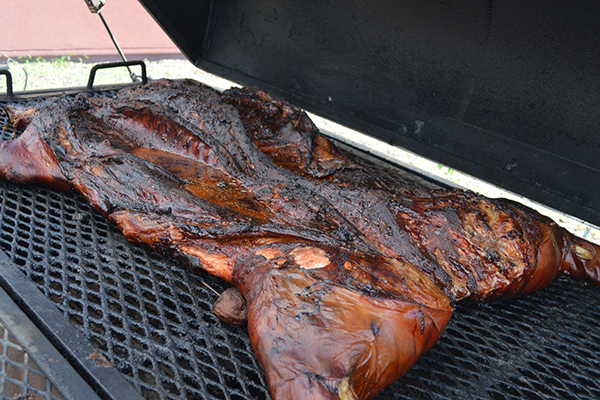 Eastern North Carolina BBQ is usually whole hog with a vinegar/pepper sauce combo. It is usually chopped fine with the skin and sauce mixed in. This is what I grew up on and thought BBQ was for many years. The western North Carolina BBQ is mainly shoulders with a Vinegar/Tomato sauce combo. When I first had it, I wasn’t sure about it. I can actually say I like both of them for their respective usage. When you get down towards the North Carolina/South Carolina line you start running into the mustard base sauce (more in SC than NC). I was actually surprised how good the mustard base sauce could be on certain items (I like them on wings and as a dipping sauce). Andy- What is your favorite BBQ restaurant in your state? Why is it so good? There is no phone so you can’t call in a order, there is no website, and if you get there late, there may be no food! 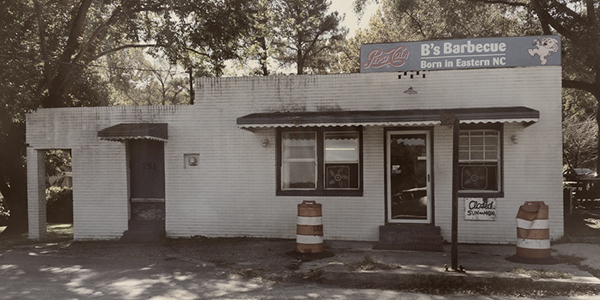 They serve eastern North Carolina BBQ and the traditional sides. Nothing fancy, just good BBQ. Andy- What is your favorite thing to make on the BBQ? Lionel- My favorite item hands down to BBQ is whole hog. 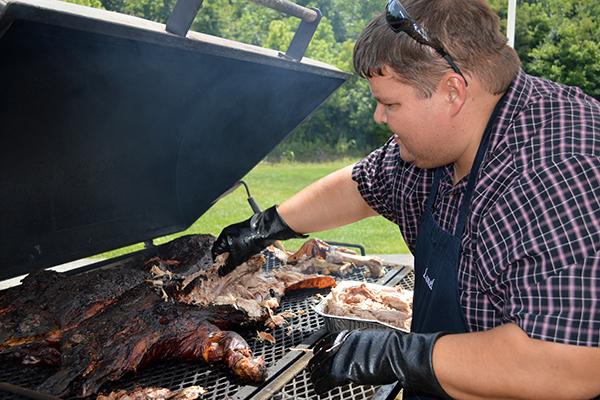 There is something about manhandling a 130 lb dressed pig over hot coals. There is a skill involved in making sure all the meat is perfect. You have to remember you are cooking hams, shoulders, rib meat , loins, and belly. All of these cook at different times and get done at different temperatures. Then there is the fun of serving that perfect meat to your friends and family off the grill. Doesn’t get much better than that. Take out 4 cups from the gallon of apple cider vinegar (we always put it a a bottle and use again at another time). In a bowl pour a few cups of the cider vinegar (from what’s left in the gallon) then combine the ketchup, brown sugar and hot sauce and whisk together for a few minutes to get the brown sugar mixed well. Using funnel put in the remainder dry ingredients in the gallon jug of apple cider, then pour the liquid mixture through the funnel into back into gallon jug. Shake well and let sit for a couple days for best flavor.